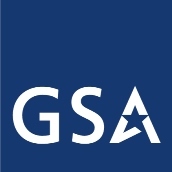 One of the main benefits of the GSA Schedule contract is its capability to define line item-specific license and service terms in the contract so they automatically apply at the order stage, with no disconnects or need for negotiation. For years, some software publishers and their government contracting partners have simply linked to the OEM’s commercial license agreements via a URL, hoping those terms would then somehow magically apply to subsequent orders. GSA’s new rule states clearly that such “pointing” is not contractually binding. Further, the burden is on the publisher and the contracting partner to add the terms they care about for each priced item explicitly within the contract. The new rule also lists 15 terms GSA regularly sees in commercial license agreements that it says violate federal law and cannot be legally enforced. Our summary of these is published in this Washington Business Journal article. While most manufacturers will learn to manage around these exceptions, many have yet to build a solid, disciplined process to assure that the terms defining each item purchased are expressly stated and contractually binding. At immixGroup, this has been our standard practice since our founding in 1997, so we’re happy to address any questions or comments as well as provide scalable solutions for manufacturers and their channel partners! Have you ever wished you could give GSA a piece of your mind about its schedules program Anonymously? Well, here’s your chance. The MITRE Corporation is conducting research for the GSA Multiple Award Schedules (MAS) Program about the GSA Schedules. This study is part of a multi-method research initiative that includes primary and secondary research of GSA and stakeholders from industry and from federal and state government buyers. This survey is designed to collect inputs from suppliers who participate in the GSA Schedules Program and from suppliers who do not hold contracts with the Schedule Program.